I Secretary for the domestic courier company Shun Feng, Post EMS, foreign express delivery company DHL, UPS designated online shopping express mail bag manufacturer. 1. 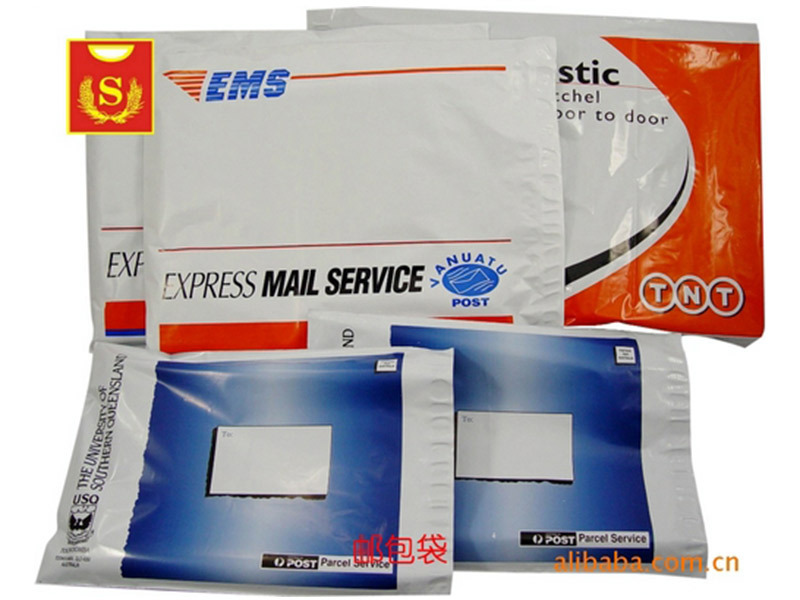 Online shopping express mail bag material selection: single or multi-layer co-extruded, LDPE and other online shopping express mail bag stickers selection: one time strong adhesive or reusable ordinary adhesive envelope bag 2. Online shopping express parcel bag product features: Waterproof, oil-proof, tear-proof, anti-abrasion, do not add any heavy metal additives, chlorine and other harmful environmental components in the manufacturing process. 3. Online shopping express mail bag product promotion: Custom mail bags can better promote the products you sell, easily increase the added value of your products, and the products can also achieve the effect of secondary publicity in the express delivery process. Decades of deep industry reputation Decades of excellence as a Shenzhen detached is your confidence choice! First, the State Post Bureau is responsible for the examination and issuance of express delivery packages and express delivery orders. The Department of Market Supervision of the State Post Bureau, the provincial (district, city) postal administration agencies and the provincial-level postal regulatory agency market supervision departments are responsible for the daily production supervision and management. (1) Enterprises that produce express envelopes should have basic equipment such as four-color or two-color offset presses, paper cutters, die-cutting machines, and creasing machines. (2) Enterprises that produce express delivery containers shall have basic equipment such as carton printers, paperboard slitting machines, flat pressure indentation and cutting machines, cut lattice machines, and fat line machines. 3. Enterprises producing plastic woven cloth bags should have basic equipment such as casting compound machines, printing machines, cutting machines, punching machines, and industrial sewing machines. (4) Enterprises that produce express waybills shall have basic equipment such as four-color or more rotary form printers, four or more page matching machines, and high-speed digital printing systems. (1) The production enterprise shall apply for a legal person business license, printing license, and application form to the local postal administration department. (3) The postal administrations of all provinces (autonomous regions and municipalities) shall review the production conditions and application materials of the enterprises and report them to the State Post Bureau for reexamination, and issue production supervisory licenses to eligible enterprises. 4. The State Post Bureau will renew the new courier envelope manufacturing license for those companies that have already obtained the production license for postal express delivery service. 5. Enterprises that have obtained production supervision certificates shall organize their production in strict accordance with the corresponding national standards. As of January 1, 2015, companies that do not have production licenses may not produce express packaged goods and express waybills. 6. Express delivery companies can use the express delivery packages and express delivery orders that have been produced until the end of June 2015. From July 1, 2015, it is necessary to use the express package products and express waybills that have been produced and conform to the national standards. All provinces (autonomous regions, municipalities) and postal administrations are required to do a good job in organizing the application of express delivery packages and express consignment note production licenses, as well as the application materials and the review of production conditions. The postal administration department of the express delivery company's headquarters shall do a good job in publicizing, guiding, and supervising the company's headquarters at the same time, so as to ensure the orderly development of the express production of packaged goods and express waybills.